Our new Kanmed Babybed 101 comes with no side rails and a new feature for easy use of the sidewalls (without side wall guides). 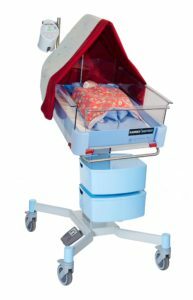 The BabyBed can be equipped in many different ways, to meet your requirements for use. For more information contact Info@Kanmed.se or your local supplier.